Looking at 2013 in retrospect, it was a busy and very productive year. It began with preparations for the big exhibition at the National University of Singapore’s museum in February. 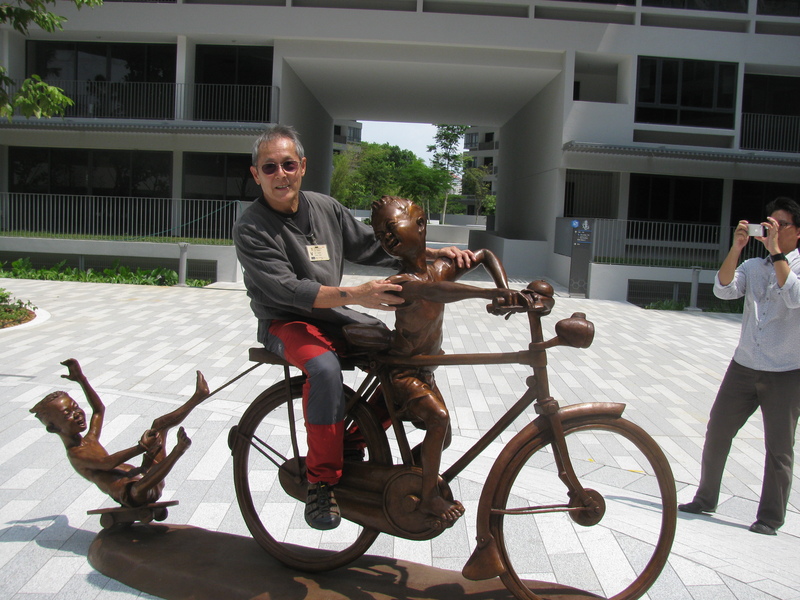 No sooner was that done when a bronze sculpture needed to be finished for the Interlace condo at Alexandra. But it was fun making Good Fun!, as we finally called it. It recalls a time when children created their own games instead of relying on store-bought toys and technology. Good Fun! is about two young boys playing with an adult-sized bicycle. One boy has obtained this bicycle (maybe belonging to his father or older brother) and is pedaling it as best as he can. He has his younger playmate in tow. This other boy is just about to fall off his improvised skateboard when the moment is captured forever in bronze. Good Fun is the latest of a trio of sculptures that establish Chong Fahcheong as the artist who best and most succinctly captures the good old times of Singapore and keeps them alive in our memories. Fans of the sculptor will know of First Generation, those five naked boys jumping into the Singapore River. And if you visit the Singapore Botanic Gardens, look for another bronze sculpture depicting six boys playing Chang Kuda, a game of piggyback and who’s first to the post! No sooner had he finished this work than Fahcheong had to switch gears and turn his attention to a very different and demanding task – the creation of a non-narrative work this time, to be achieved in stone. The result: a deceptively simple sculpture which Fahcheong called Granite Gate. Fahcheong resists the temptation here to do “too much” to his material. 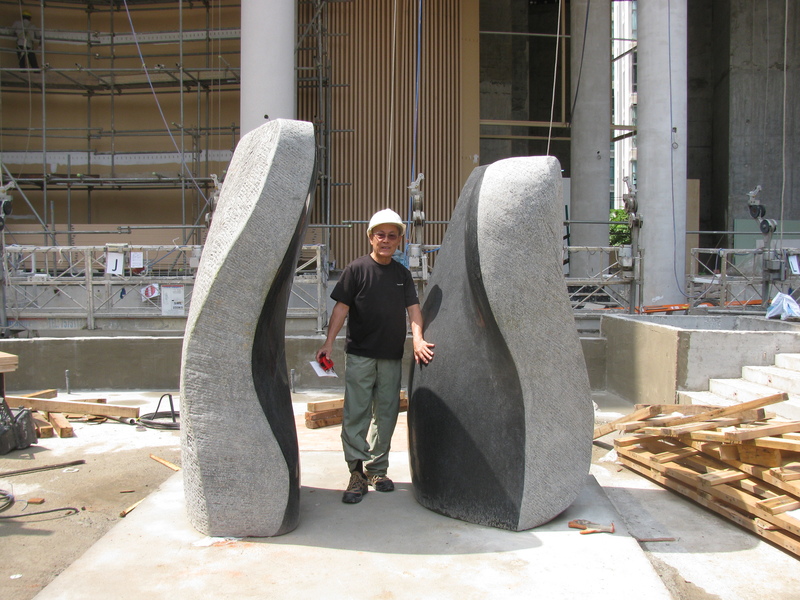 Instead, he allows the two large pieces of Vietnamese black granite to impress their monolithic presence upon the viewer, who is invited to walk through this “gate”, to be a part of the sculpture, to enjoy its elegant flowing lines, different textures and polished internal surfaces.